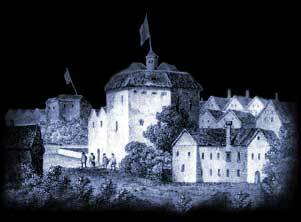 This section contains the free online text of The Tempest the famous Shakespearean play. The enduring works of the great Bard feature many famous and well loved characters. The full online text and script of The Tempest convey vivid impressions. The language used today is, in many ways, different to that used in the 16th century Elizabethan era and this is often reflected in the script and text used in Shakespearean plays. It is therefore not surprising that we have no experience or understanding of some of the words contained in the text / script of The Tempest. We have therefore included a free online Shakespeare Dictionary for most of the more obscure words used in the script and text of his plays, some of which are obsolete in modern language or Dictionaries. Make a note of any unusual words or text that you encounter whilst reading the online text of the play and then check their definition in the free online Shakespeare Dictionary.